The Mayor’s Management Report, an annual summation of how well city agencies are doing their jobs, includes bad news for traffic safety and sustainable streets. 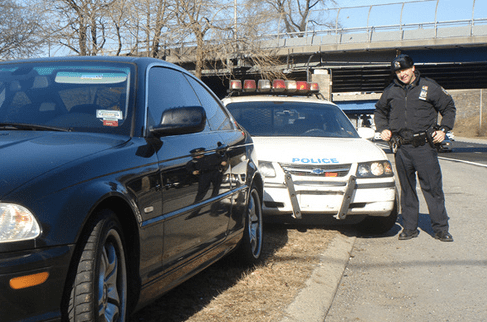 In the last fiscal year, traffic fatalities were at their highest level since 2008, and NYPD moving violations summonses were at a 10-year low. Meanwhile, DOT missed its bike lane and bike rack goals for the year. The total number of traffic crashes dropped for the second year in a row, falling 1.5 percent from last year. DOT says that crashes were most prevalent on highways and during overnight hours, with more than half of motorist or passenger fatalities due to speeding, drunk driving and running red lights or stop signs. Traffic crashes killed 176 cyclists and pedestrians in FY 2012, up from 158 in 2011, and 115 motorists and vehicle passengers, up from 78 the year before. More than half of the increase in motorist fatalities were motorcyclists. This 23 percent jump in total traffic fatalities comes after four years of decline. NYPD issued fewer moving violations summonses in the past year than at any time since 2002. Summonses for cell phone use while driving fell to their lowest level since 2005. While the report tells us how many tickets officers are writing, it does little to illuminate whether compliance with traffic laws is getting better or worse. Transportation Alternatives was critical of police traffic enforcement. “Since January 1, 2012, the NYPD wrote 28 percent fewer tickets for speeding, the number one killer in traffic, as tinted windows,” TA noted. DOT failed to meet its own targets for bike lane and bike rack installation, according to the report. The agency barely reached half its annual goal of 50 lane miles, with 25.8 miles of bike lane in 2012, of which 4.7 lane miles were protected bike lanes. The agency also fell short of its goal of 1,500 new bike racks per year, installing 1,286 bike racks. That’s down by more than 50 percent from the year before. DOT said that development of the meter rack and StreetRack programs slowed progress this year, and said the agency anticipates to pick up the pace for bike rack installations in the future. I’ll certainly take 5 miles of protected bike lanes over 25 miles of de facto double-parking lanes. Where did you find the number of motorcyclist fatalities? I couldn’t find it. Are you saying that there were 19 motorcyclist fatalities in FY2012 and zero in the previous year? @qrt145:disqus The motorcyclist fatality data came from DOT’s press office. I have reworded the post to clarify. It’s up to us to make sure that next year sees a better year for bike infrastructure. We need to organize now so that DOT can get a move on for the next year. If you want a bike lane near you, start organizing now and see if you can make it happen in the next year or two, while we still have a DOT trying hard to build out the bike network. Any idea why DOT failed to meet targets for bike lane installation? @Reader:twitter Politics are to blame for DOT slow-downs. The PPW bike lane suit fed an already extant anti-cycling hysteria in the tabloids and created a false impression that DOT had not done due diligence in neighborhoods where they were installing lanes. Though lanes had board approval and widespread public support and had gone through many different public vetting processes, assorted entrenched machine political figures (Steisel, Weinshall) cleverly and disingenuously pounced with a “good government” argument because that is where Bloomberg is genuinely vulnerable, and it worked, slowing down the installation of lanes. These people also worked behind the scenes using their influence and connections to pressure City Council (documented incredibly by Streetsblog) and the press into taking anti bike lane postures. They haven’t moved the numbers on public bike lane approval, though. Those numbers just keep going up. So what will be done about NYPD? This is a scandal! Especially when NPR this morning announced, right after the higher fatalities figure, that NYPD would be posting agents at Apple Stores to make sure people register their iPhones with them. Don’t jump to conclusions, people. The average since 2005 is 285 fatalities per year. 291 is too close to the mean to say what it means. It could be a return to the mean after a few good years. It could be a random bad year marring a generally favorable trend. Based on these numbers, we don’t know. Fatal crashes are rare enough, even in a city the size of NY, that random noise can cause big jumps from year to year. Does anyone have the injury statistics? They usually give a better indication of the trend. The FY12 change looks like it could be considered statistically significant or not, depending on how you frame the analysis, so I’d say it’s borderline. But it does look like a big jump! As someone who lives in Seattle – has progress halted in the past year or two?I used to read Streetsblog to be inspired by change in NYC and wonder if I should try to get a job in Silicon Alley. Now I just read it and feel good about staying where I am. Has the editorial tone just become more negative, or have things really started going backwards? @f22e1135f0577a752838af82e64922e0:disqus : As someone who grew up in the bay area and used to commute to silicon valley on public transit, I feel comfortable in saying that it’s always been a mess. I think the only thing that’s really new here is that high-profile companies like Apple and Facebook are continuing to double-down on the secluded-campus model. Traffic Fatalities are Way Up — Is Vision Zero Becoming Unfocused? What is driving the increase in deaths? Drivers, of course.